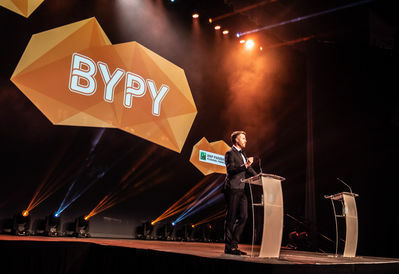 Spring this year once again brought BYPY to PSP’s calendar of exciting events. 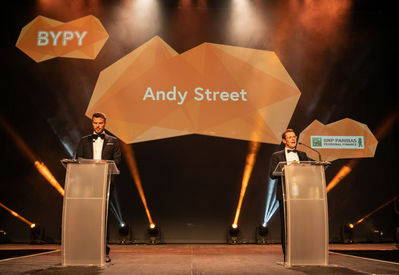 For the 6th year running, the ICC Birmingham saw over 700 business professionals from the local community celebrate another excellent year of achievements. 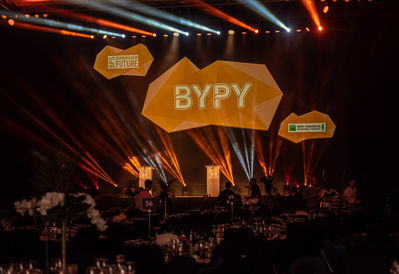 Organised by the BPS (Business Professional Services) committee of Birmingham, the Birmingham Young Professional of the Year Awards is an annual event held in Hall 3, dedicated to awarding 9 prestigious titles to individuals within the city’s local business community. 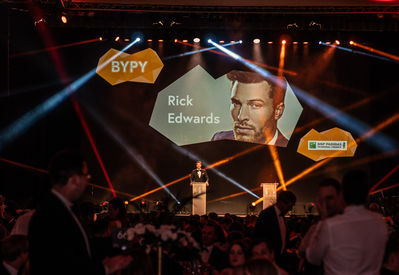 Hosted by Rick Edwards, the night consisted of a three course dinner with entertainment, music, a DJ, and lots of dancing. 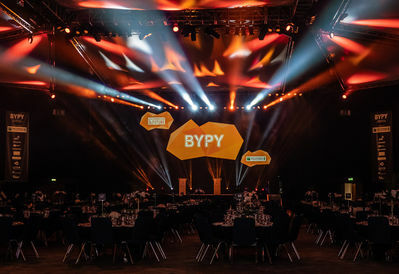 Working closely alongside the branding and communications team from Riley Raven, for this year’s event PSP provided bespoke set design and build, projection mapping, presentation design, event filming and live relay, awards lighting, audio support and a hands on crew of dedicated Technicians. 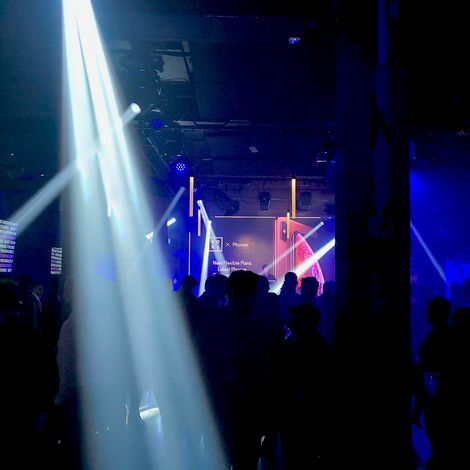 The event was, once again, a huge success with some fantastic comments and feedback all round. 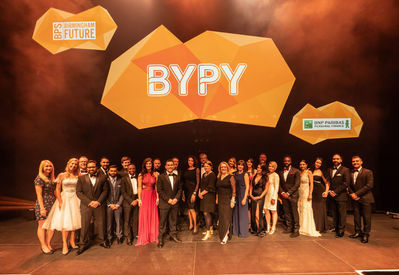 We can’t wait to be part of BYPY 2019! “The process this year was so smooth! 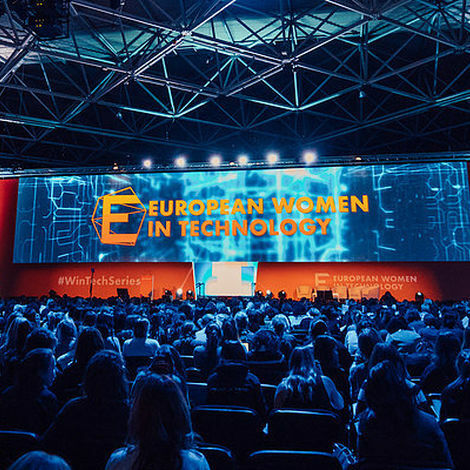 Thank you for assisting me through it all, despite me having so many questions! 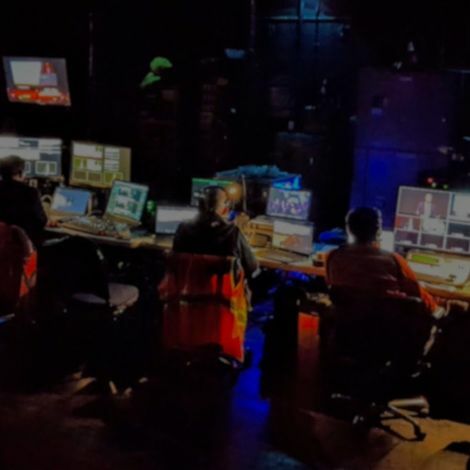 I really appreciate all of the time and effort that went into this year’s event and the feedback we have had regarding the event has been incredible – PSP play a huge part in that, so thank you! 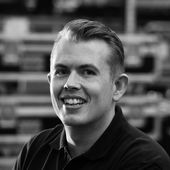 The king of content here at PSP, Matt heads up our digital media studio, ensuring 3D visuals, video content, artwork for print and all things creative, are to the highest of high standards... He's also a dab hand when it comes to AR & VR!